Family Yoga is AMAZING! We live in such a fast paced world, where our busy schedules make for frantic days and nights that leave us feeling exhausted and disconnected. 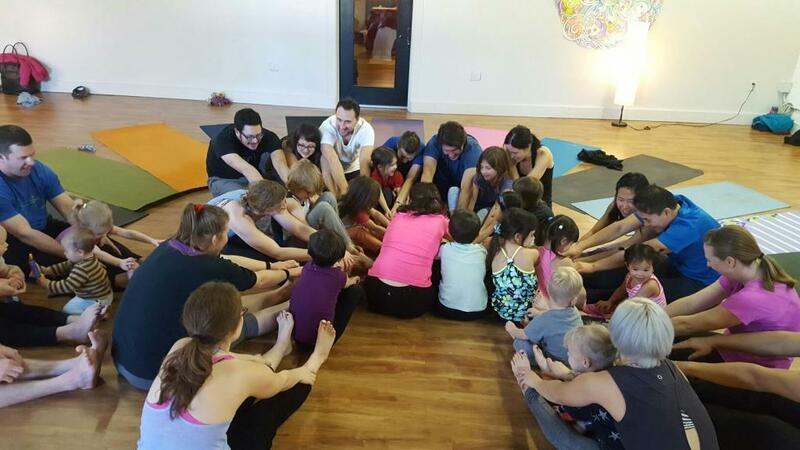 Our family yoga fun nights are the perfect way to unplug, reconnect and spend loved-up, joy-filled quality time together through Rainbow style yoga. 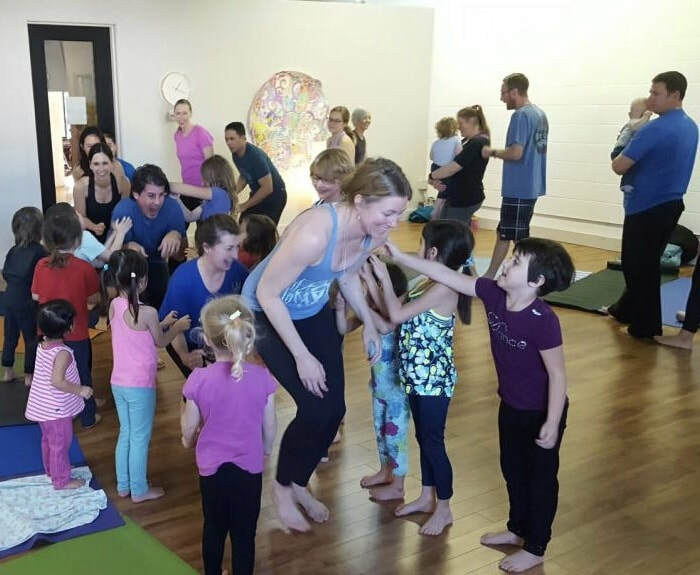 Created for families of all sizes, abilities, and budgets, our family yoga fun nights are one hour packed with laughter, joy and of course: FUN! You can expect a warm up, connection games, breath work, yoga adventure which includes traditional, creative and acrobatic poses based on our theme, meditation and relaxation. Classes are geared towards children ages 3-10, but all ages are welcome! These events are FREE for Killarney Community League members, or $20 per family for non-members. This is drop in only, no pre-registration available, space is limited so to ensure your spot please arrive 10-15 minutes early. For more information, contact the Killarney Program Director at 780-914-0206. BEACH PARTY FAMILY YOGA FUN NIGHT! GLOW IN THE DARK FAMILY YOGA FUN! ​If you wish to be notified of similar events in the future, please fill out a contact form! Please keep me in the loop for future Family Yoga Fun Nights!